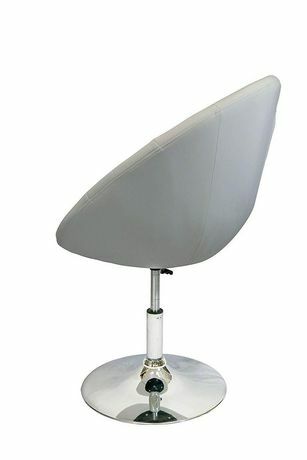 This chair adds a modern touch to the space. 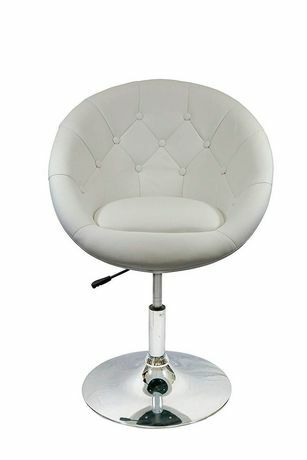 Button tufted swivel chair in leather-like vinyl with chrome base. The rounded back also lines as the armrests as well. 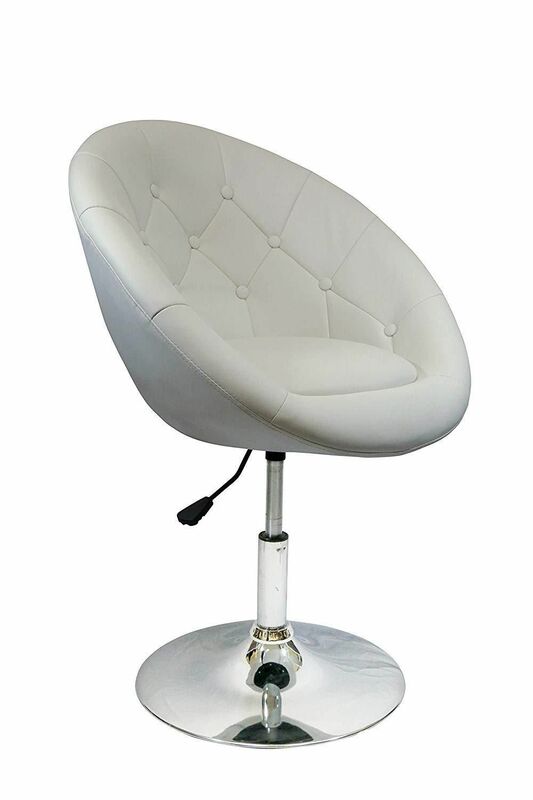 Featured with 360 degree swivel mechanism to give you more control of movement.